If you are looking to purchase a stove from us, you’ve come to the right place. We purposely don’t sell our stoves online. We believe you need some guidance to find your perfect stove. Don’t make a costly mistake. Have you ever been sold something you’ve later regretted? At Ignite+ we guarantee you will be provided with the correct stove for your needs, budget, lifestyle and home. How can we promise this? Because we’re not restricted to brands or affiliated to any companies. We want the best for you. That means happy customers, great reviews for us and recommendation, It’s that simple. We can also offer a unique “ask an owner” service. Ask us about a stove you’re interested in. If possible, we’ll put you in touch with one of our customers who has the stove and has lived with it. That gives you totally impartial advice from someone who’s had first hand experience. Buying a stove is very different to many other purchases. It is crucial that certain things need to be taken into consideration. If you buy the wrong stove, you may not get the best out of it. Would a family of 4 buy a 2 seater sports car? Of course not! 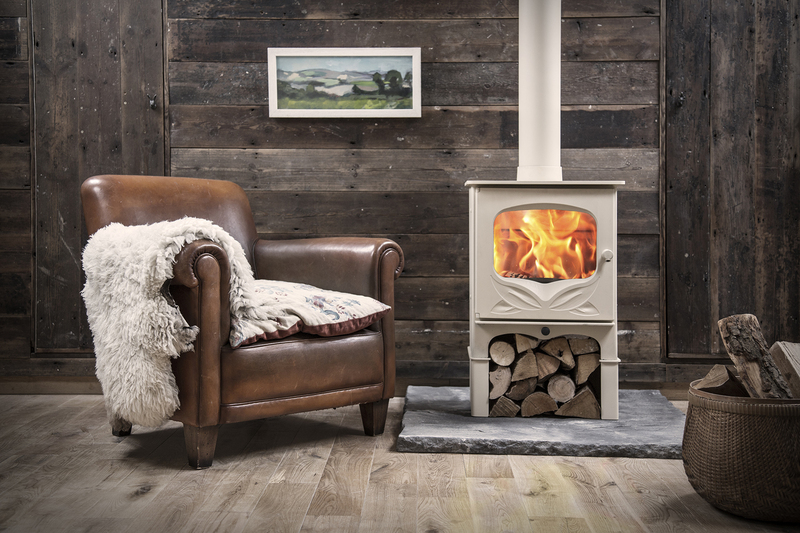 We’ve put together a brief buying guide below to give you some help on what to look for n a stove but the best advice we can provide is get someone to come and see you. Don’t choose a stove until you’ve had a site survey. You may live to regret it. Don’t want a black stove? IT’S YOUR STOVE. HAVE IT YOUR WAY. CHOOSE YOUR COLOUR AND WE’LL MAKE IT HAPPEN! We want to ensure you get what you want. Not what we want to sell you. With Ignite+, we’ll spray your stove the colour you like from a range of over 30 different colour options. The spray we use is the industry standard product and guarantees a permanent and beautiful finish. THE CORRECT HEAT OUTPUT – We’ll explain how the stove manufacturers allocate a heat output. See here for more information on stove outputs. WOODBURNER OF MULTIFUEL – Many people opt for a multifuel as they want the option to burn anything which is fair enough, but hang on…do you actually need to burn solid fuel? Maybe your perfect stove is only avaialble as a multifuel. Some stoves can be upgraded to a multi fuel so you can do this retrospectively. Solid fuel can be expensive, dirty to handle and puts a great deal of pressure on your stove and flue. DO YOU LIVE IN A SMOKE CONTROLLED AREA? – We’ll tell you. Don’t worry if you do. The majority of stoves sold nowadays have been approved for use in smoke controlled areas. See here for more information on smoke controlled areas. STEEL OR CAST IRON – This depends on your lifestyle.Steel and cast iron have different attributes. Do you work 9-5? and want to use your stove mainly in an evening? Are you retired and may want the stove on all day? Do you want to burn wood or solid fuel too? The answers to these questions will determine what your stove is actually made of. Below, we’ve put together a simple explanation of the process of having a stove fitted.